Reputation Builder is $99.95/month for your first location. Each additional location is only $49 per month. Join over 20,000 businesses that use our customer feedback platform. No contracts. 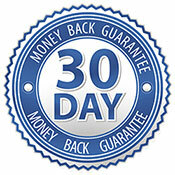 Cancel anytime and we provide a full 30-day money-back guarantee. No questions asked.